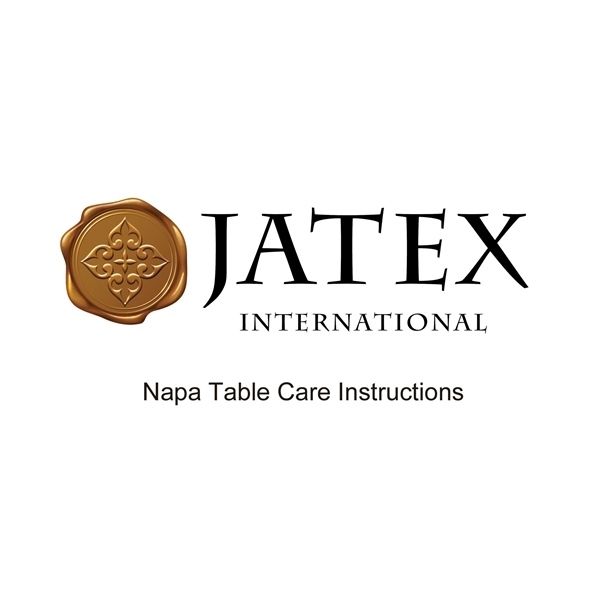 Jatex’s Copper Napa Tables all arrive from the factory with an oiled finish. Upon opening, spray a rag with WD-40 and rub gently to remove any excess oil. Wait about 30 minutes for the excess WD-40 to evaporate and then polish with Briwax Original Clear or a similar polish to obtain the best finish. The table is then ready for use. Napa Tables are intended for indoor use only. We recommend that you polish the table occasionally with Briwax Original Clear or a similar polish to maintain the finish. Remember, the more you polish it, the better it will look!